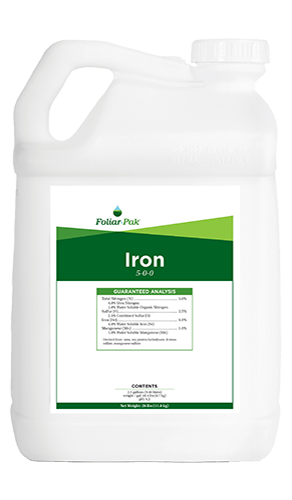 Foliar-Pak® Iron provides rapid green up and extended color response by delivering iron and manganese protected by plant metabolites. 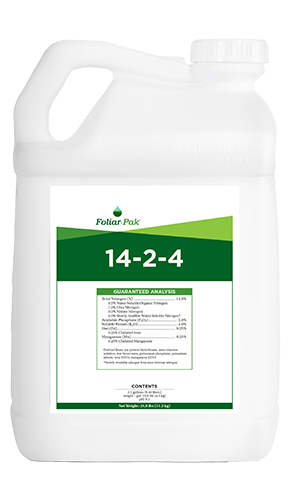 Foliar-Pak Iron is a brand new, unique combination of iron and manganese that is protected by three different natural and modified plant metabolites. Each plant metabolite performs well in its own niche. The low-molecular-weight plant metabolites allow for movement through the stomatal pores and transcuticular pores; the high-molecular-weight modified plant metabolite chelates the iron and manganese for secondary uptake via the soil. This engineered redundancy ensures rapid uptake for the turf in all growing conditions. 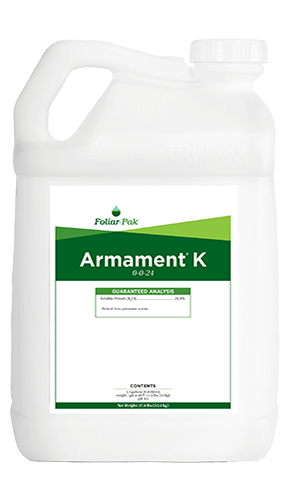 Improves turf color when added to tank mixes with PGR and certain fungicides. Provides proper pH reduction and stability to chemical tank-mix combinations. Multiple chelators provide rapid color response and longer residual color. 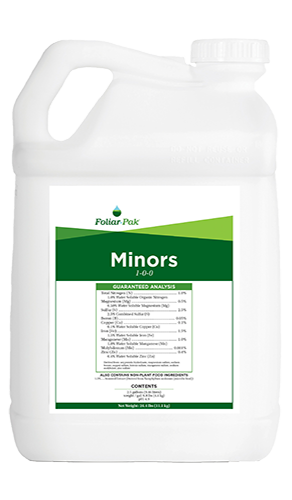 Soluble organic nitrogen increases uptake and efficacy of nutrients and PGR’s. Ideal ratio of Fe and Mn provides unsurpassed color response.